It was a special moment because he met, as requested by the children themselves, with members of Foxy’s Early Learning Entrepreneurs Center (ELEC) —located in a booth next to Foxy’s Bar, where they are taught entrepreneurial skills at a young and impressionable age. 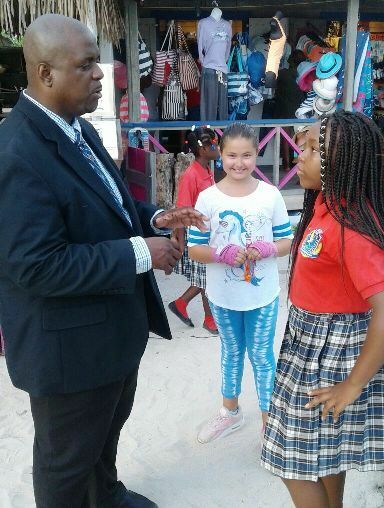 Hon Fahie engaged with the children for some time on their many items for sale—from cupcakes to home-made hand chains—and even patronised the booth with a purchase from the lads. The ELEC programme, is aimed at fostering a new generation of JvD business persons. Hon. Fahie is indeed a genuine human being. Love what I read. Hats off to those who invest in our young people lives. Nice to know that type of program is going on in JVD good foundation to build on young people. Fahie, I like your “flip the pyramid” touring plan. Make your rounds and gather all the required data to develop your manifesto for the people, by the people. Don’t sell us short like those in the present government who thinks that we are all brain dead and lack the necessary intelligence to develop and advance our country. All we need is the proper leadership to unite our people so we can all start working together with a shared/unifying vision. 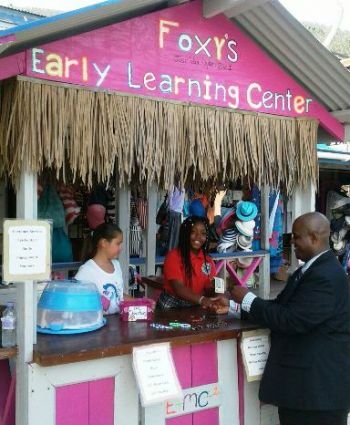 Foxy’s Early Learning Entrepreneurs Center (ELEC), for example, is an ingenious concept and should be incorporated in every community in our country as well. The earlier our children learn these skills the better. This puts them at an advantage to understand how to build real economic wealth, which in turn, drives our economy on a completely different level of control. They will be able to develop a totally different mindset in their thinking on how money really works. I can share more on this, but I think you get the point. I have always admired Foxy’s ingenious mind, but of course, some may not agree. 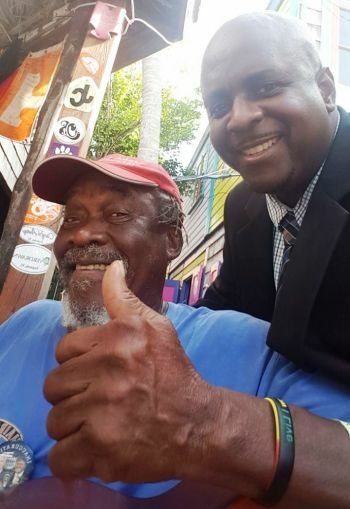 People like him and our ancestors, like Noel Lloyd, are not supposed clean-cut mainstream types because they are beyond the groupthink minds and are much more expansive in their way of thinking. They are visionaries, so their minds think differently. The ignorant ones from all persuasions of supposed intelligence, may even categorize them as crazy, which they are not. Too intelligent for the average minds to recognize. However, I digress. Getting back on point, you are doing it the rightway, which demonstrates your level of maturity this time around. The solutions you seek to move our country forward- are, indeed, with the people and not on the outside. I iterate- Don’t sell our People short. I have known Fahie ALL my life and he has his rough edges like we all do but I have never met a more genuine and caring human being. He's the real deal!! !